For consumers looking to move away from heavily processed products and fast foods, electric meat grinders are a great tool to have in the kitchen. 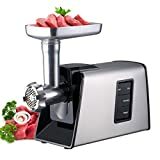 The main advantage of meat grinders is that they allow you to make your own blend of ground meats, or sausages, without any artificial preservatives, coloring, or fillers. Make your own style of turkey sausages, or even cube up some AAA prime rib to make juicy prime rib burgers. Electric varieties will be much more expensive, but they offer greater convenience and speed. 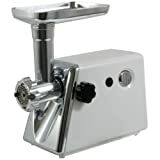 However, manual meat grinders won’t require as much maintenance, and fewer motors mean less chance of frictional heat creating bacterial issues with the ground meat. Electric versions are more popular, but there will be some manual ones included. The horsepower of the motor determines the speed and torque of the grinder. Versatile applications are important as well, which might include extra blade types, sizes and different speed settings. If you’re looking for a decent mid-high end kitchen tool for all of your meat grinding requirements, this model from STX International gets the job done right. It features a motor peak wattage of 3000 watts, three speeds, and a safety circuit breaker. It comes with a size no. 12 grinder that is optimal for ground meat. This machine has three stainless steel grinding plates, 3 cutting blades and three-piece sets of sausage as well. 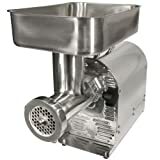 If you’re interested in a manual meat grinder with a wide array of versatile features, check out this one from Ziera. 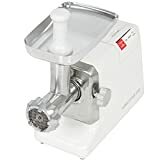 It is a 3-in-one tool with the ability to mince vegetables, make fresh pasta or grind meats. It comes with a coarse and fine plate and 3 pasta attachments. All of the separate parts are easy to clean. Its most attractive feature though is its compact size. Whereas most grinders, both manual and automatic, take up a ton of space with its clamp or motor, this one is very small. It uses a simple secure suction base and locking key. It includes a sausage funnel attachment and stainless steel blades. If you already own a KitchenAid stand mixer, then there will be many possibilities open for you. One such possibility is this grinder attachment. Why buy a totally separate device for one job, when you already have a more-than-capable motor in your kitchen? This grinder attachment expands your mixer’s flexibility by grinding meats, grating cheeses, or combining ingredients for dips or salsas. It includes fine and coarse size grinding plates. All of the parts are dishwasher safe for simple cleanup. 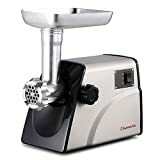 For commercial butchers, chefs or restaurateurs, this is professional grade, the high-end electric meat grinder for anyone expecting frequent use. It features a 3/4 HP motor with very high-quality parts. All of the metal gears feature roller bearings for improved long-term durability. It can grind a massive 360 lbs of meat an hour, making it perfect for heavy-duty use. It comes with the standard array of accessories and features, including a circuit breaker, reversible function, large food tray, and multiple blades/plates. While this LEM grinder model is a step down from the previous model, it is a small step. It features a .35 HP motor with a size #8 blades. As in the other model, it comes with all of the standard features, and high-quality stainless housing and parts. This grinder can work through approximately 240 pounds an hour, which still makes it miles faster than other midrange or budget models. For a high-end look at electric meat grinders, this one may appeal to you. It features a 1/2 horsepower, 350-watt motor that is permanently lubricated and air cooled. This has its advantages over other standard motors. Firstly, it is easier to maintain and lasts longer. And secondly, there will be the less residual heat that can have adverse effects on the temperature of the ground meat. The stainless steel food tray is commercial grade and very large. It comes with sausage making accessories, as well as 2 stainless grinding plates. If you’re a consumer looking to spend a fair amount on a high-quality grinder, without breaking the bank, this is a perfect middle ground. It features a 600 watt rated motor with a 1000 watt maximum power. Its built-in circuit breaker protects it from motor burnout, and the reverse function can help prevent jamming. It can grind up to 185 pounds per hour, and it comes with all of the standard accessories. These include a cutting blade, 3 cutting plates, a food pusher, and 3 sausage attachments. With its 2.6 horsepower motor and simple design, this meat grind from Best Choice Products are great for anyone on a very tight budget. It features a cast aluminum feeding hopper and housing. The 3-speed motor packs a surprising amount of power, and it comes three steel blades. The food pusher allows you to feed meat in effectively and safely without with dirtying your hands. 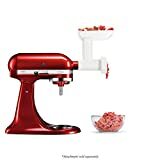 This is another budget model available for anyone looking to get into making their own ground meat blends. It comes with a 3/4 horsepower, 350-watt motor. It is powerful enough to grind up to 100 lbs. per hour. It features a large capacity removable stainless steel food tray. All of the removable parts are dishwasher safe. It features just a single button with forward/reverse to help prevent any jams. It includes 3 cutting plates of different grind sizes, 1 rubber attachment, a food stuffer, and a sausage tube. 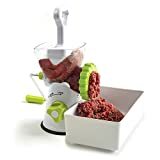 This midrange electric meat grinder features a powerful motor and base that will handle any of your meat grinding needs. It has a 400W rated power, and a max locked power of 800 watts. It can grind up to 170 lbs. per hour, and it features a large capacity tray made of stainless steel. 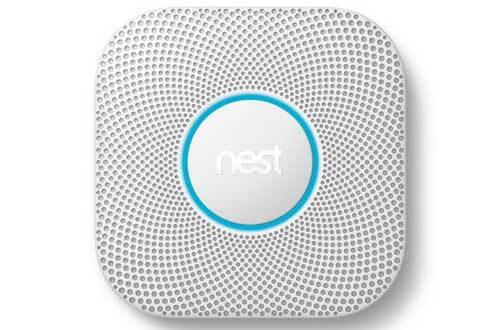 It features a single button operation, reverse functionality, and built-in circuit breaker to prevent undue wear and tear. The housing features great ventilation and durable gears.